We just came back from a holiday in the South of France. France is one of our neighbouring countries and to go there is about 1100 kilometers.I would advice you not to go there in July and August unless you really have too as it is the summerschoolholiday for the whole of Europe then. But France is amazing and I am not surprised it gets the most tourists in the whole world !!! Personally I prefer the South, the Provence and the Cote d’Azur. But hey, I think you want the pictures, not my bragging. So here they come. 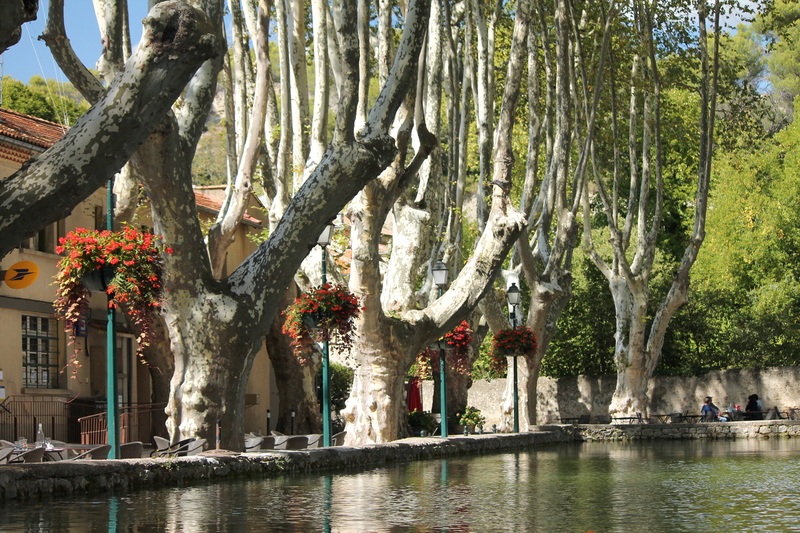 We visited a special garden, it was the garden of a monastery in Mane ; Jardins de Salagon. FIGS EVERYWHERE IN THE SOUTH, REALLY EVERYWHERE !!! THE WILD PIGS RUINED ALL THE GARDEN PATHS THE NIGHT BEFORE OUR VISIT. As you can see is was definitely Autumn in the South of France, earlier than usual cos of the severe heath and drought they had for months on end. Here too we have an early Autumn. There is more to come about our vacation in France so if you are interested watch my blog. This is the 3rd and last post about our trip to Scotland. Edinburgh was our destination. A beautiful and buzzing city. A CHRISTMAS SHOP THAT WAS OPEN ALL YEAR !! We had a lovely short break, saw many interesting things, and we were lucky with the weather, what more do you want. Have a great weekend and thanks for stopping by !